Millennials have grown up with this mantra and want solutions to their problems in the most effortless and fastest way possible. And the first place they go for finding their answers is your online community. Now, being a community specialist how do you make sure your overwhelmed customers go happy and smiling? And case deflection is one of the most important ways to achieve self-service success. So, how do you tackle that? With access to case resolving knowledge spread across your enterprise sources right from the community, you significantly reduce the occurrence of subpar experience, hence driving CSAT and case deflection. Your community serves as a powerful engine for quickly resolving customer queries firsthand. Growing numbers of community users not only imply an increase in case volume but also a set of common queries and use cases. It’s inefficient and underwhelming for your support representatives to waste their energy answering these repetitive questions. Fortunately, deploying a chatbot in this unpleasant picture will paint it rosy. 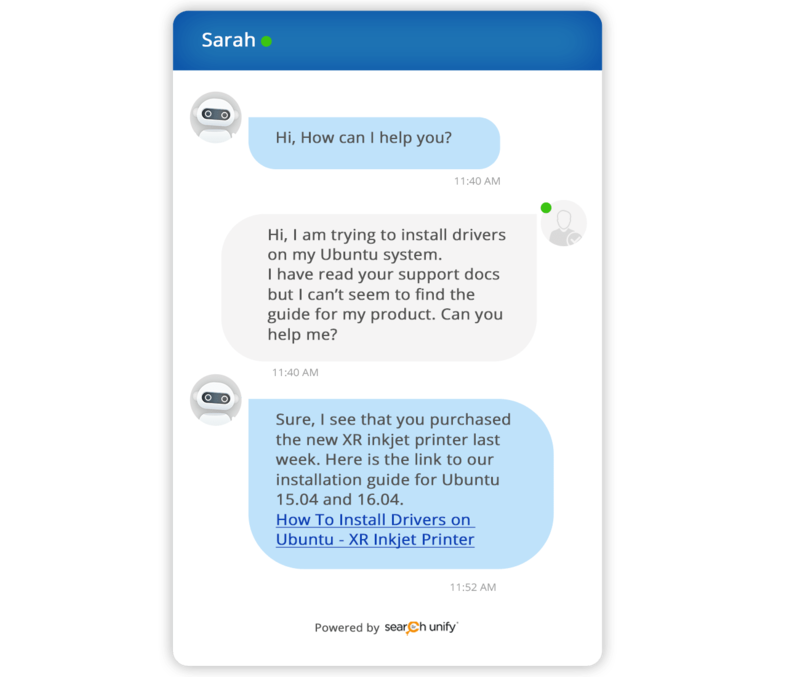 According to Gartner, 85% of customer service interactions will be with chatbots by 2020. Employing a chatbot offers a couple of benefits. First, it promotes case deflection by handling a lion’s share of recurring customer queries so that your service representatives are not overworked and can devote more time in resolving complex issues. Not just that, an AI-fueled bot uses behavioral and conversion data to provide better results. Better results pave way for case deflection which in turn helps build and sustain a self-serve community. 80% of your support cases are caused by 20% issues. Your support reps spend most of their time resolving similar issues time and again. What if you could make help content that resolves those common issues available to your community users before they submit their case? Case deflected! Gone are the days when businesses would take their sweet time to get back to a customer. Now, your customers expect your help on the fly. You can do that by providing proactive content suggestions and recommendations. In this ever-evolving digital world, you always need to be there for them like a genie! This will help keep them happily engaged with your brand. Analytics is undoubtedly an indispensable business requirement. Through a deep analysis of all the content that you have across your enterprise, you can see which queries are the most searched, which results are the most clicked and the topics on which the users couldn’t find anything. This information helps you to fill the content gaps in your knowledge base. As a result, you get satisfied customers who have solutions to each query. It is beyond the shadow of a doubt that case deflection goes a long way towards achieving self-service success. 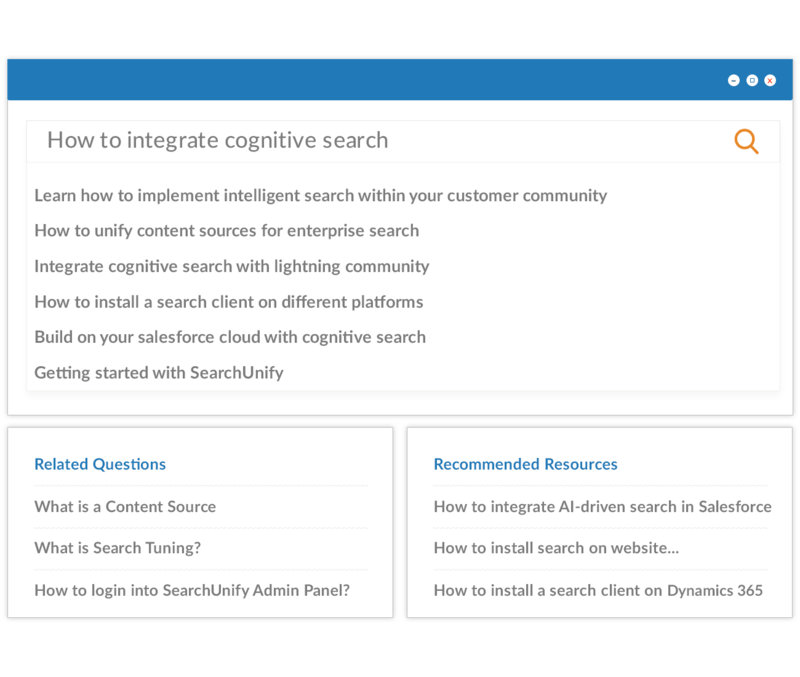 An AI-driven cognitive search can surely come in handy. 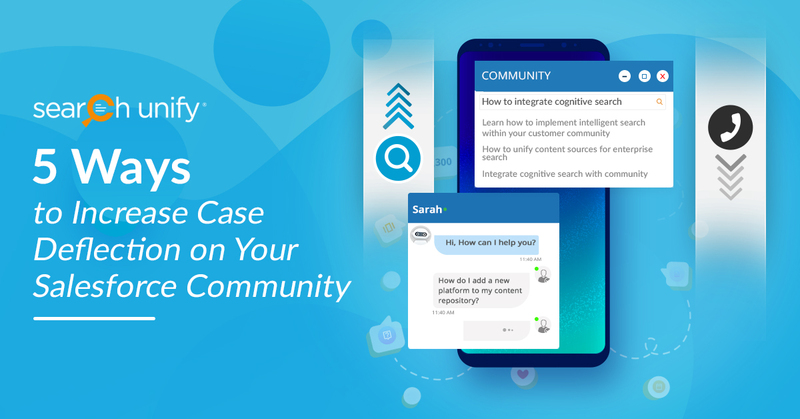 See how cognitive search can boost case deflection on your Salesforce community page, request a demo of SearchUnify here.